I've got five really great white kitchens for you this week! This first kitchen I actually saw on last week's episode of Selling New York. (I ridiculously love that show.) 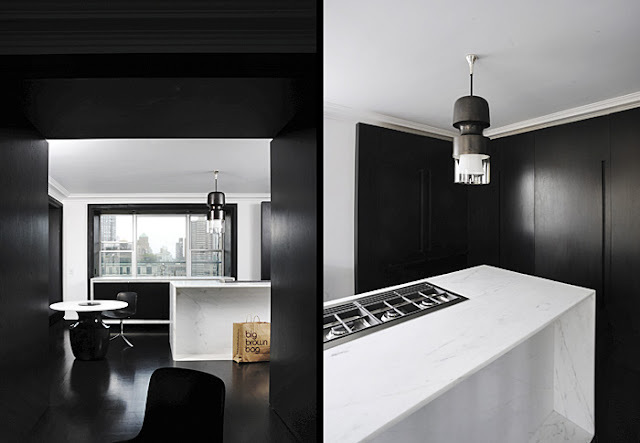 The 5th Avenue Penthouse was designed by the architect Joseph Dirand. The entire Penthouse was amazing. If I had 12 million to spend on my home, I'd totally consider spending it on this place. You can see more photos of this Penthouse here. 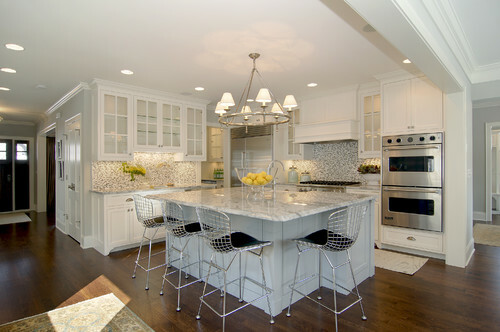 The countertops in the kitchen are Carrara marble. Look closely at the island, the marble wraps the entire thing. Gorgeous! 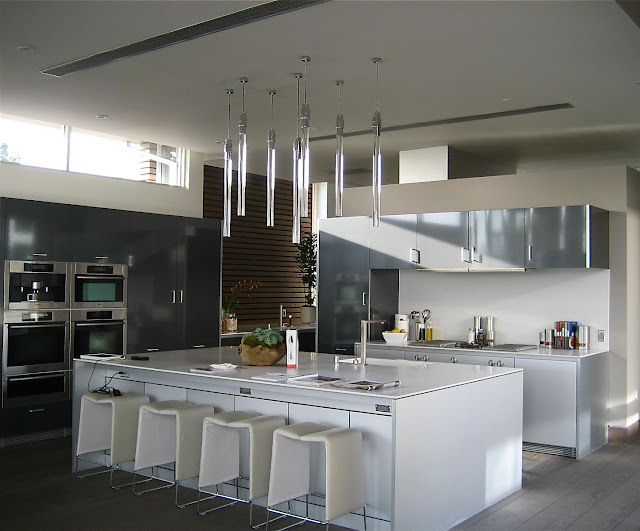 contemporary kitchen design by other metros interior designer Atmosphere Interior Design Inc. Your blog is one of the best but this post is especially yummy! My uber symmetrical clientele will love the cute little topiary accents too. Thanks Gloria. That's a big compliment coming from you, I really do appreciate it. 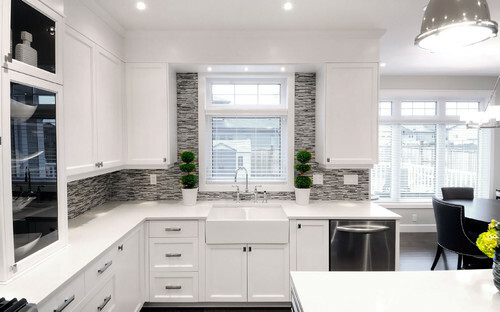 I really love that first kitchen, it's my favorite that I've seen in a long time.